Christmas has come early for motorsport aficionados because the Bathurst 1000 is right around the corner. All those demons on wheels are about to set fire to the racetrack and Joe’s got everything you need to know about the event right here. 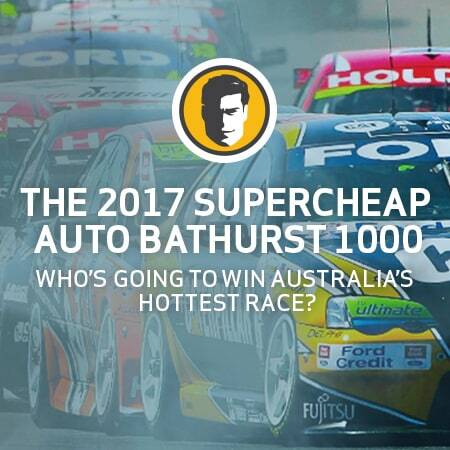 Running from October 5 through October 8, the 1,000 km endurance race (also known as the Supercheap Auto Bathurst 1000) through Mount Panorama features death-defying terrain and a brutal mountainous track – it’s a true test of wits, courage and good ol’ fashioned luck. Who is going to come out on top this year? Holden or Ford? Who’s going to crash and burn? Well I don’t bloody know. I mean, I think I’ve got a fairly good idea but it’s not like I’m going to tell you. Or maybe I will if you stick around. Anyway, the Great Race is not to be missed so I recommend scoring some tickets right away so you can catch the action trackside. Either way, 2017 is turning out to be another great year for the Supercars series as fans, drivers and manufacturers start making their way over to the Mountain. At the moment, there’s three key teams to watch, and they’re all contending for the big spot: we’ve got the Prodrive Racing Australia (PRA), DJR/Team Penske, and the Red Bull Holden Racing Team. While you wait for the Great Race to start, Joe’s got just the fix for you. Make sure you’ve done your chores first (I did and trust me, I wouldn’t be here giving you these great tips if the missus was royally PO’d with me). I’d say buckle in and check out Blazing Tires – it’s not quite supercars but it’s right up there when it comes to the thrill of racing. Hot girls, 18 wheelers and big wins…who could ask for more?